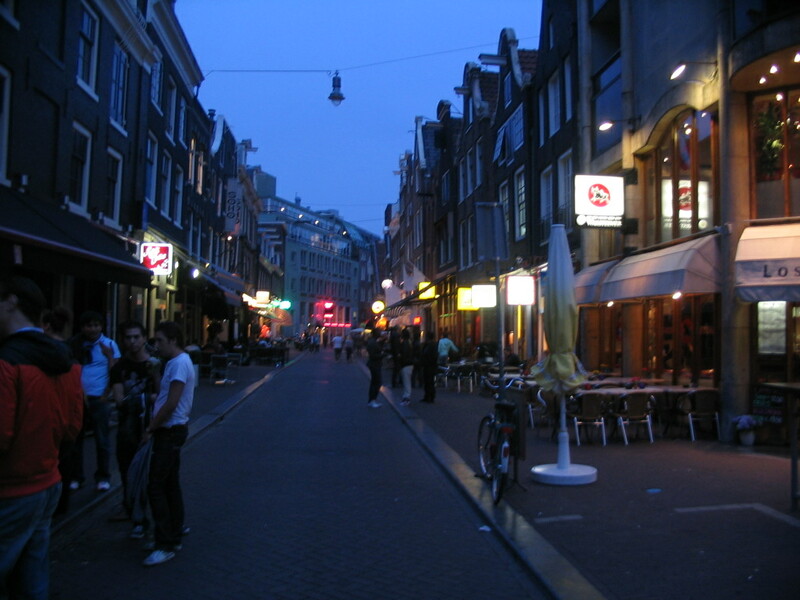 It was well into the evening once I got back from Plan Zuid. 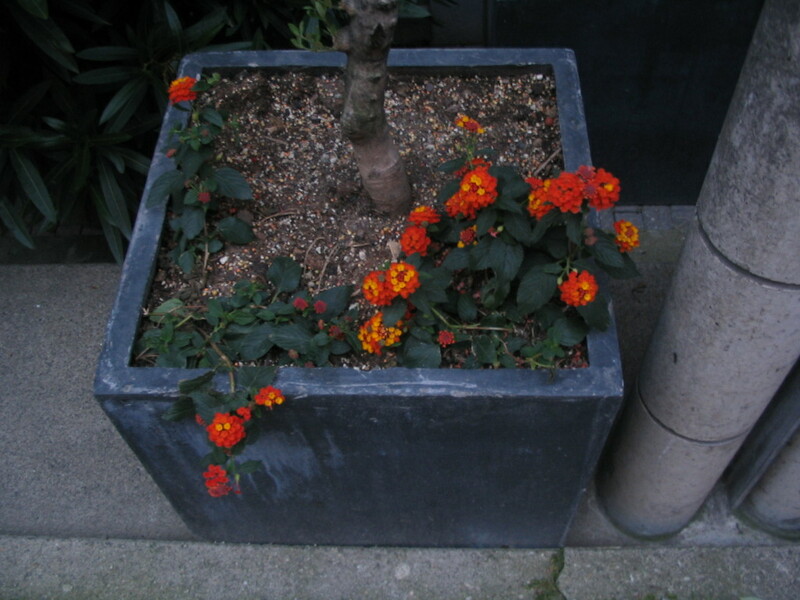 Even so, these flowers were still intensely luminous, almost as if they were fluorescing. 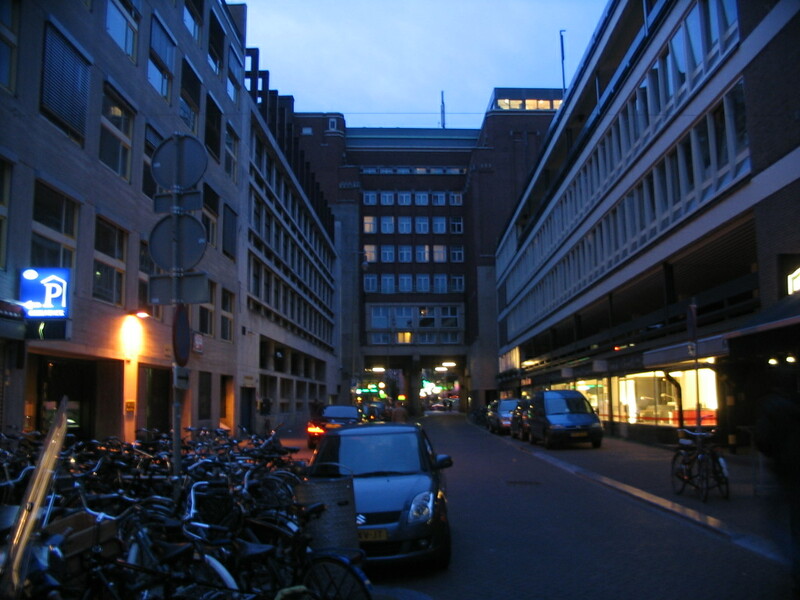 The Carlton can be walked right under via the Reguliersdwarsstraat. 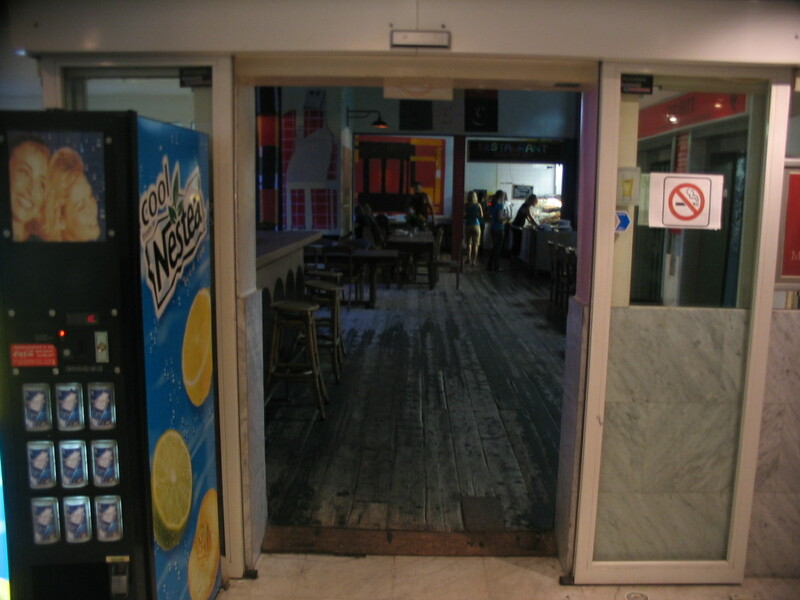 Here, in the same area, I had a tasty meal at a Thai restaurant, if I recall correctly. 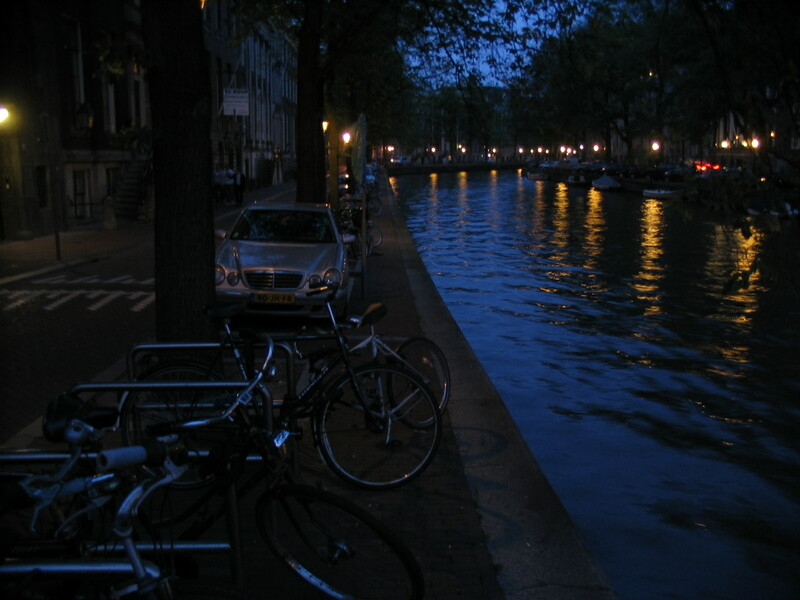 The reflections of the sky and the streetlights in the Herengracht (viewed to the west from Vijzelstraat) compliment each other nicely during isobrightness. 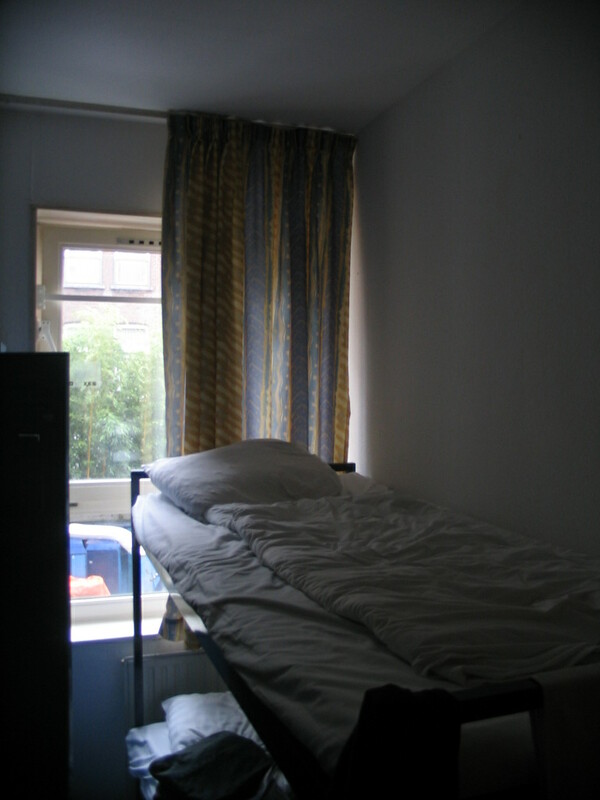 My perfectly adequate bed at the Hans Brinker on the morning of our departure. 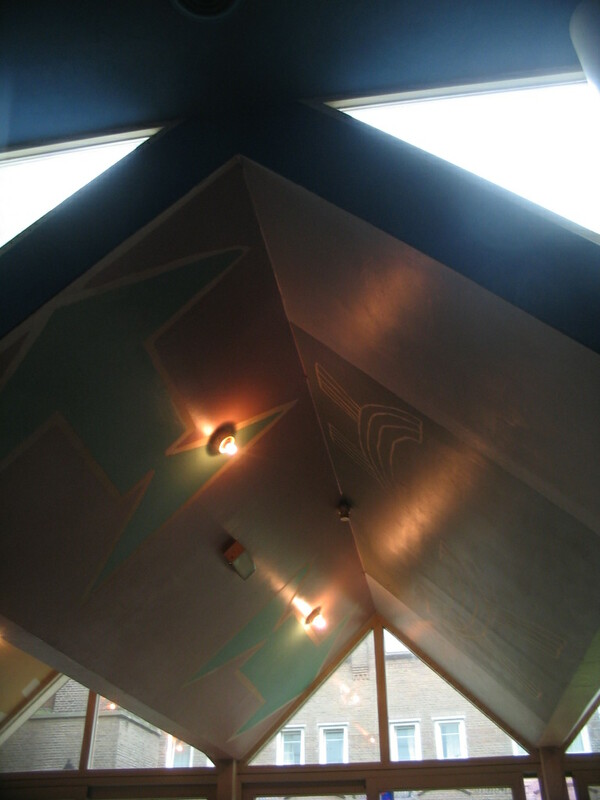 All sorts of triangles at the ceiling of the dining room addition.